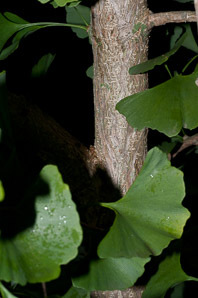 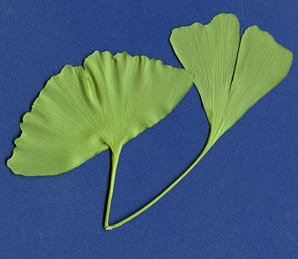 Ginkgo biloba is native to China. It has become naturalized in a few places in eastern North America, but it borders on extinction everywhere. Natural trees live as long as 2,500 years. 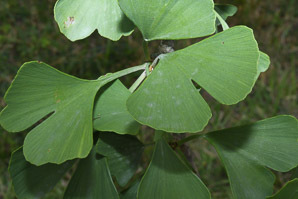 Cultivated varieties are often included in landscape plantings, and it is also cultivated for its alleged medicinal properties. Gingkos are a very very old species: fossilized leaves date back 270 million years, before even the first dinosaurs! 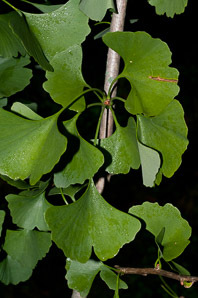 Plants: Trees are 40-80' (12-24 m), rarely as much as 128' (39 m), with an oval to cone-shaped crown. Leaves: Leaves are more or less fan-shaped, sometimes resembling crescents, usually with one lobe, sometimes divided into two; leaf edges are softly scalloped. 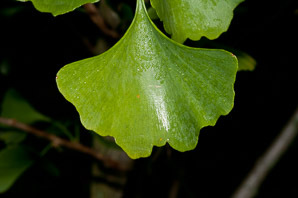 Leaves are medium green; in the fall, they turn bright yellow. 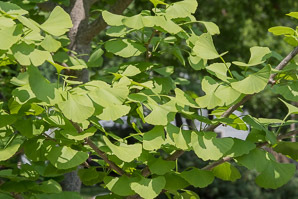 Flowers: These trees are dioecious: male and female flowers are borne on separate trees. 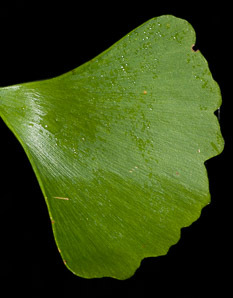 Male flowers are small greenish conelike structures about 1" (2.5 cm) × ¼" (6.3 mm). 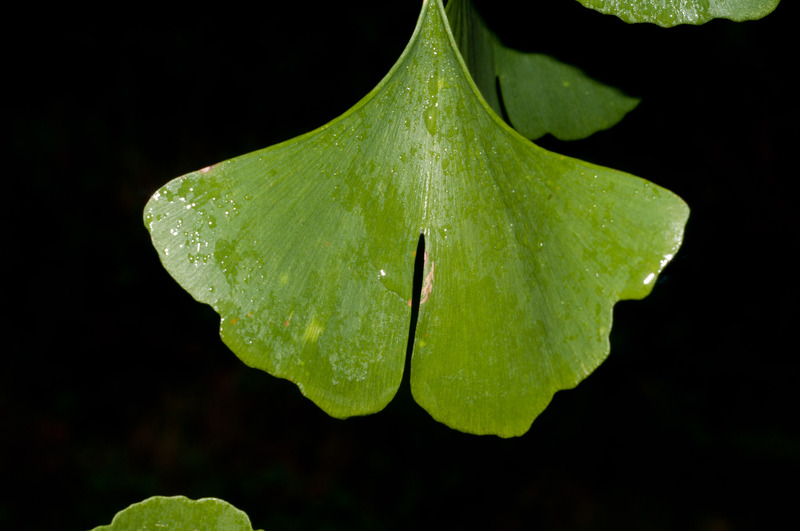 Female trees produce ovules—inconspicuous rounded green bumps about ⅛" (3.2 mm) in diameter—at the ends of stalks. 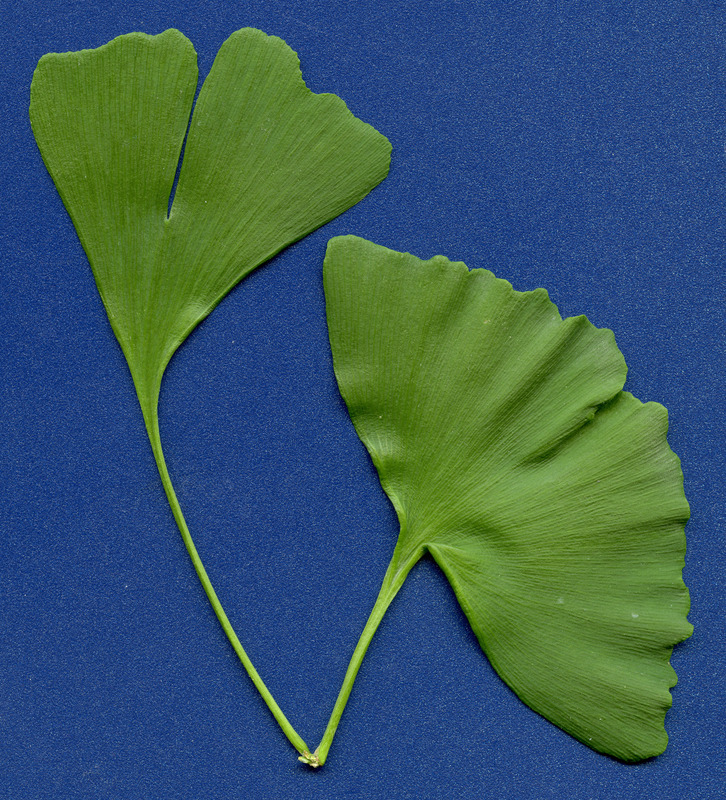 Medical: Ginkgo biloba is frequently touted as a dietary supplement with curative or preventative properties. It is best known for memory enhancement and slowing the progress of dementia and Alzheimer’s disease. However, ginkgo has, at best, slight benefits in memory enhancement—many studies found no improvement at all. 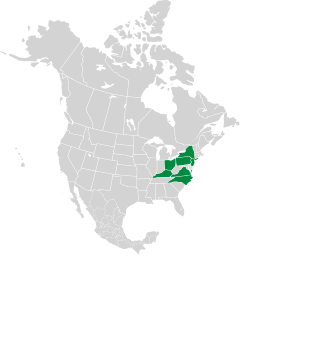 And in 2008, the GEM study, involving 3,000 elderly participants, found it to have no benefit whatsoever in arresting the progress of dementia or Alzheimer’s. Ginkgo has also been used for glaucoma, macular degeneration, tinnitus, and Raynaud’s phenomenon, and many other ailments. 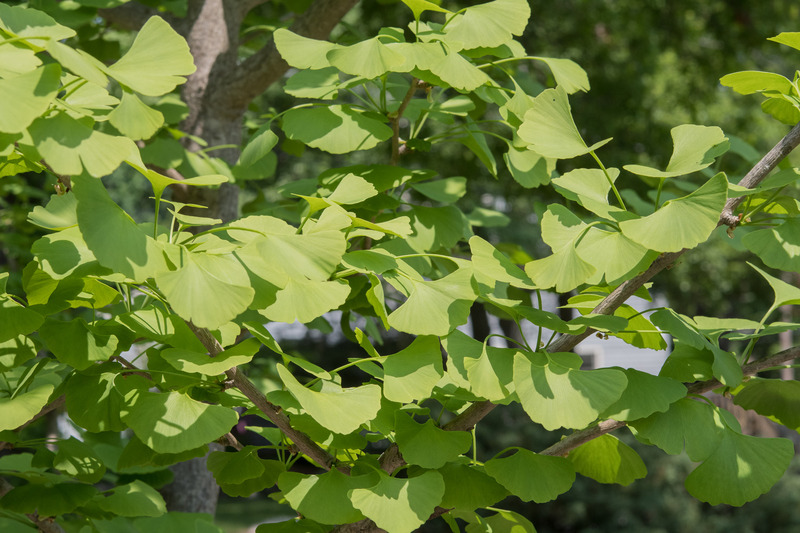 No large scale studies have been performed for the first three of these, but a well-designed study did find a benefit for Raynaud’s sufferers. 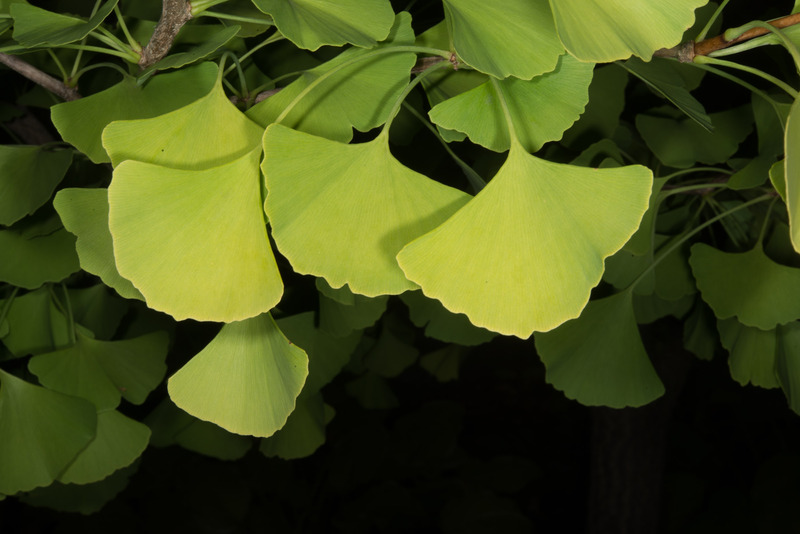 Ginkgo biloba description by Thomas H. Kent, last updated 12 Oct 2018.